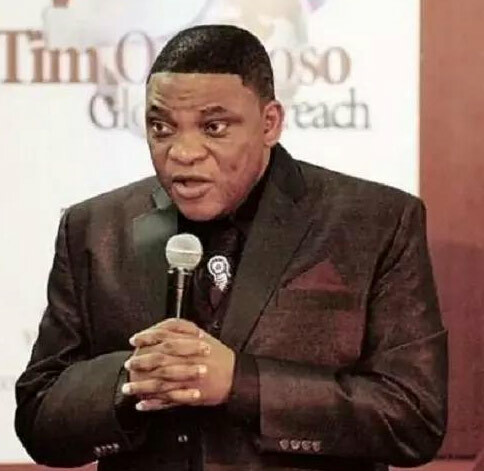 Remember the Nigerian pastor Tim Omotoso who was declared wanted recently in South Africa, for the abuse of 30 young girls whom he kept in his house? Omotoso was said to have abused the girls under the pretext of saving them from drug abuse. While some were members of his singing group known as Simply Christolite, others dropped out of the Kwazulu-Natal university. There are new details to the story. Pastor Omotoso was arrested and dragged at the Port Elizabeth Airport on April 20. He has now been charged to court and some of the revelations at the court hearing are shocking! Herald Live reports that details reveal how Pastor Omotoso always make the girls rub Vaseline on their thighs while telling them to recite Psalm 51 – a psalm that deals with sin and being cleansed. After which the South Africa-based Nigerian pastor would then tell the girls that If they tell anyone about their encounters they would be cursed and would die. Nigerian televangelist is facing 22 charges relating from s*xual assault to human trafficking with possible additional charges to be added at a later stage. Recall that the general overseer of the Jesus Dominion International was apprehended at the Port Elizabeth Airport in the restroom on April 20, minutes after his flight from Durban landed. He was dragged by police officers in an embarrassing way while many onlookers booed him.